It’s REALLY hard to choose the best convertible car seat with all the choices available! After years and hundreds of hours of testing & reviewing, we have strong opinions about what makes the best convertible car seat: simply-safe adjust harness system, removable head/body pillow, installation features. The Graco 4Ever All-in-One (On special until end April 2019) has all those features and beats it’s competition hands down. The all-in-one car seat is reliable and comfortable. It is also easy to install, reclines with much ease and is secure. In addition to all that, it is stylish and is side impact tested for occupant retention with the inbuilt 5-point harness. The incredible seat has the InRight latch system for an easy, one-second attachment thus providing you with a simple installation time. We aim to just include high quality, ideal products that may assist you to work out what you really want for your lifestyle. Our reviews are neutral as well as detailed because we would like you to have all the facts – both good as well as bad prior to making your own decision. We have a buying guide on the best double jogging strollers and best infant car seats as well as many product reviews on MovingBabies (read more). Why not read our article on the Graco Milestone seat? Having to decide on one product can be a bit overwhelming especially if you have a variety of great options. Choosing a car seat for your child is no different. There are varieties of all-in-one car seats, from the sophisticated to simple ones, lightweight to bulky and modernized with technology seats. We have compiled a list of the best convertible car seats. So, you can get yourself some coffee, relax and read this review and get to discover which seat is best. You will get to choose the one that perfectly suits you and your baby. What You MUST Know About These Seats? There is no perfect product, and everyone has his/her definition of perfect. Every product has a con and a pro. So with that in mind, we have come up with a guide. Our guidelines and reviews will give you honest buying advice that you can be sure to trust. Use our guide to discover which features are the most important for you to consider. We do also provide unbiased ratings to help you choose the best for your needs. As its name suggests, it is a baby carrier that can convert into different set-ups. It can transition from rear-facing to forward-facing. Some car seats are ‘3-in-1’. It means they can switch from rear-facing to forward-facing with the 5-point harness and finally to the booster car seat. So it is one child car seat that can serve you from when you get out of the hospital till when your baby joins pre-school. Convertible car seats convert from rear-facing to forward facing. They carry children from birth to between 40 and 80 Pounds and 40 to 57 inches tall. There are also 3-in-1 convertibles which go on to feature booster car seats. These types of car seats go up to 120 pounds. They are usually installed rather than clicked, and most of them tend to be heavier than regular car seats, but they do help you save cash. They also feature the side-impact protection system which helps in securing your little one in the case of a collision. They give you premium service till the end. As we mentioned, convertible car seats are fantastic. Who wouldn’t want a baby seat that can serve them till your little angel goes to pre-school? Plus they offer you the best baby seat service. First of all, we examined the safety features which allow you to be certain that your little angel can be protected from harm as you travel. Features such as the Simply-Safe Adjust Harness System come in handy when it comes to protecting your kid. Secondly, we looked into the comfort features like the removable head/body pillow supports and plush inserts. Last but not least we considered the installation features. Installing and using these seats should be easy. So, we looked into features such as the InRight latch system and recline positions. Other things considered are the convenience features like the integrated cup holders, the price and brand of the seat and how easy it is to fold the stroller for transportation and storage. The incredible infant car seat has the InRight latch system for an easy, one-second attachment thus providing you with a simple installation time. It also has the Simply-Safe Adjust Harness which has the one-hand, no re-thread harness that automatically adjusts the headrests height and harness. It gives your child the best protection services and keeps him snug. The all-in-one car seat is reliable and comfortable. It is also easy to install, reclines with much ease and is secure. In addition to all that, it is stylish and is side impact tested for occupant retention with the inbuilt 5-point harness. It is a fantastic seat, but it does have some problems. It is heavy; the straps are quite loose, and it has minimal breathability capacity. Despite these issues, however, the seat reclines with ease and is reliable. During the time of writing this review, there were a total of 1210 customer reviews and an average rating of 4.7 out of 5 stars. It is perfect for your growing family and ensures your kids are always snug and safe. It is an incredible place, one that you should be sure to purchase. It has the full steel frame that gives you that durability touch, thus making it one of the safest equivalent positions in the baby seat market. It also boasts of the tethering capability that helps reduce seat rotation in the event of an accident. It also has the body/head support for added comfort. We like that it is of excellent quality. It is also snug, secure and easy to install. It is bulky, and the arm rests don’t stay in the open position. However, it is durable, compact and sturdy. During the time of writing, there were 125 customer reviews and a 4.6 out of 5 stars rating. Sometimes choosing a seat for your child can be confusing. With this seat, you don’t have to worry anymore. The seat has the quick-adjust, two-buckle positions and ten-position harness that allow you to easily move the harness upwards and push the buckle outwards for a comfy, secure fit as your toddler grows. We like that it is straightforward, cute, and durable and has the impressive side impact protection system. The canopy is terrible, and the crotch buckle is impossible to access. However, it is durable and cozy. During the time of writing this review, there was a total of 423 customer reviews and a rating of 4.5 out of 5 stars. It adheres to the equivalent combination of safety, comfort, and ease of assembly. It is the ultimate safety hero for your child. The top-rated seat enables you to have a worry-free time. It has the expandable sides and longer seat bottom that offers better leg support. It helps keep your child as cozy as she should be. It also assists in maintaining a custom fit throughout your baby’s physical development. In addition to this unusual feature, it has the rear-facing tether capability that reduces seat rotation during an impact. The baby seat is flexible, safe, and comfortable and has the 5-point harness. It also has great buckles, anchor clips and is a solid fit for you and your loved ones. The seat is cumbersome and quite hard to install. In spite of these issues though, it is cozy and fantastic buckles that help you adjust the straps quickly. At the time of writing, there were 674 customer reviews and a 4.6 out of 5 stars rating. The Diono Radian R100 All-in-One has great features, and it will give you the best services for you and your child. Have you been up and down searching for that perfect seat for your little monster? Well, look no further. This seat gives you what you need on a silver platter. It has the fuss free harness storage that holds the buckles out of the way, making it easy for your kid to get in and out of the seat. It also has the three-position extension panel that adjusts to provide 5-inch additional leg room, thus allowing your baby to securely and cozily ride the rear-facing longer. The all-in-one car seat is budget-friendly and compact. It also has the double head pads that are awesome. You will get the best service out of this fantastic position. The seat’s recliner isn’t smooth, and it is quite tricky to get by how to tighten the straps. 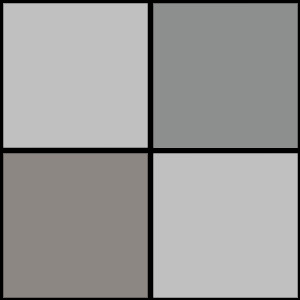 Despite these issues, however, it is affordable, compact and versatile. At the time of writing, there were 810 customer reviews and a 4.6 out of 5 stars rating. The Gotham-seat design is beautiful and saves you money. You can’t go wrong with this seat. Purchase it and enjoy its benefits. It has a washable seat cover that is accessible without removing the harness. The plush inserts keep your infant comfortable in the rear-facing mode. The steel-reinforced frame provides you with strength and durability for years of smart utility. It is lightweight, washable and classy. It has an extra storage space that is awesome. It has an unsafe harness latch and the loose straps. However, the seat is cozy and lightweight. At the time of writing, there were 219 customer reviews and a rating of 4.6 out of 5 stars. For a worry-free time and comfort of your baby, try out this seat and enjoy its numerous benefits. It has the buckle pockets that help in protecting your little one against hot buckle burns with the patented anchor system known as Sure LATCH that automatically tightens to secure the car seat correctly. It also has the Evenflo Proprietary E3 Side Impact Protection that significantly reduces side impact crash forces through the expanded zone of protection. It is budget friendly, comfortable and straightforward to buckle and configure. It has deep cup holders too. It is cumbersome, and the rear-side doesn’t recline far enough. However, it is easy to install and use. During the time of writing this review, there was a total of 924 customer reviews and a rating of 4.4 out of 5 stars. The impressive child-carrier embodies the Evenflo passion for providing you and your loved one with a secure and cozy travel system. It is the ultimate champion for security. It has the quick-fit harness that offers additional convenience in both stages by letting you adjust the height of both the headrest and harness in one easy step. It also boasts of the side-impact protection that helps keep your baby safe and sound. It is comfortable, secure and sturdy. It has the safe-impact protection system and impressive headrests. No product is 100% perfect, and this seat is no exception. It doesn’t tighten well enough and difficult to use. However, the position is secure, comfortable and has adjustable headrests. At the time of writing, there were 877 customer reviews and a rating of 4.4 out of 5 stars. The Safety 1st Grow and Go 3-in-1 seat is an exceptional, quality luxury item that has a lot to offer regarding innovative safety features. You should get it to have the best times. The infant seat is side-impact tested in addition to meeting all the Federal Safety Standards, for occupant retention solely with the inbuilt 5-point harness system. It also has the one-hand, eight-position, adjustable headrest that easily adapts to your growing toddler’s needs thus assisting in keeping him safe as you go on your trips and travels. The seat is affordable, cozy, secure, washable and convenient. It has the incredible cup holders that help keep your drinks at bay thus allowing you to quench your thirst whenever you need to do so. The infant seat is cumbersome, and the straps don’t tighten well enough. Despite these issues, however, it is easy to clean, safe and has these first-class cup holders. At the time of writing, there were 1005 customer reviews and a 4.5 out of 5 stars rating. It supports your child by keeping him cozy on all your travel expeditions. It’s time you enjoy your vacations by investing in this seat for your lovely family. It is quite difficult to find a light convertible seat considering the transitions plus all the features they have. So, to have one is a gift from the heavens. The Graco MySize 65seat is ultra-lightweight and has the InRight Latch system that allows you to secure your car seat to your vehicle in just one second. It is as easy as it can be. You, therefore, have the chance to enjoy all your trips with your growing family. Designed to help protect your rear-facing infant from 4-40 lbs. and your forward-facing toddler from 22-65 lbs. It has the EPS foam lining and the removable head/body support with three recline and two buckle positions that help keep your child as snug as he should be. It is lightweight, easy to use and cute. The top-rated car seat has loose shoulder straps, and the crotch strap is way too short to fit most kids. However, this is a small price to pay for a product that has proven to be convenient, easy to install and comfortable. At the time of writing, this product had 463 reviews, with an average rating of 4.6 out of 5 stars. Customers praise the product’s excellent quality and functionality. It is an excellent and affordable child carrier that will satisfy all your infant’s travel needs. We wholeheartedly recommend investing in it. Do You Need a Seat that Meets All Your Requirements? The magnificent all-in- one car seat has a full steel frame that provides it with unmatched safety for your kids from birth to booster and every fantastic moment in between. The seat also has one cup holder with the option to add up to four-holders. It gives your child the safety, comfort, reliability that he deserves. You can’t go wrong with this product. STYLISH AND SNUG FOR YOUR LITTLE ONE’S COMFORT: The Radian RXT features a 12-position adjustable headrest, infant body support cushions, and memory foam to ensure your little one says snug and secure as you head to the market or take a long journey to grandma’s home for the holidays. The modern, versatile cover in soft, premium plush interlock knit fabric offers a comfortable ride every day. It is absorbent, easy to remove and machine washable for easy cleaning. QUICK, EASY AND SECURE INSTALLATION: Our SuperLATCH system makes installation fast and secure. An audible click lets you know when the connectors are locked. The Radian RXT features a rubber bottom that grips the seat for no-slip installation and the expandable sides and long seat bottom offer proper leg support. 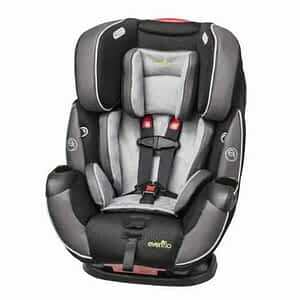 Five shoulder and three buckle positions allow adjustment for a comfy and secure ride. The low-sitting profile makes it easy for older children to board. THE IDEAL TRAVEL COMPANION FOR CHILDREN WEIGHING 5-120 LBS: The Diono Radian RXT offers multiple modes of use with a long-range lifespan to take your child on their journey of childhood. It accommodates forward-facing children from 20-65 pounds in a 5-point harness and converts to booster mode for kids 50-120 pounds. This super-portable car seat is certified for aircraft use in harness mode and folds flat for easy travel and storage so it can be on-hand and ready to use for any family adventure. The seat has the one cup holder to help you keep your drinks safely. It is also easy to assemble, durable, practical and convenient. The seat is quite thick, and the tether connector is impossible to remove manually. It is also quite hard to install the rear-facing side. Despite these issues though, the seat redeems itself with the steel frame and its security features. At the time of writing, there were 1859 customer reviews with a rating of 4.5 out of 5 stars. The customers praise it for its convenience, practicality, and functionality. The Diono Radian RXT All-in-One Convertible Car Seat helps in realizing your child car seat dreams. 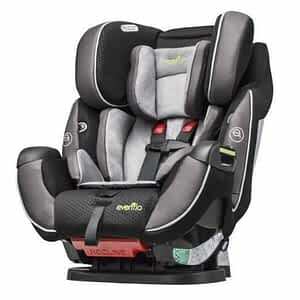 It provides you with the premium and luxurious service you’ll ever need in a car seat. That is why we wholeheartedly recommend you purchase it and enjoy all its benefits. Not possible to install the rear-facing side. The infant car seat transitions from a rear-facing to forward facing infant car seat thus growing with your child during his childhood. Customers praise this seat’s simplicity, comfort, and safety. They couldn’t imagine their world without this incredible car seat. The Chicco NextFit seat is a great product with excellent and inspired features that go a long way towards ensuring your infant’s safety and comfort. We wholeheartedly recommend buying it and investing in your baby’s safety. The Britax Advocate ClickTight Anti-Rebound Bar seat gives you peace of mind if you install the seat correctly. It is as simple as buckling a seat belt. You just have to open the front of the seat, feed the seat through the indicated path, buckle, click the seat shut and secure the tether. It is as easy as a walk in the park. You will enjoy the benefits of the baby seat. The top-rated convertible car seat has the V-shaped tether that minimizes seat rotation in the event of a crash. It is also snug, sturdy and fits perfectly. The safest convertible car seat has minor issues with its installation. It is quite difficult to install and also cumbersome. Despite these issues though, the seat is comfortable, practical and easy to clean. At the time of writing, there were 52 customer reviews and a rating of 4.1 out of 5 stars. The Britax Advocate ClickTight Anti-Rebound Bar seat is an exceptional quality luxury item that has a lot to offer regarding innovative safety features. We wholeheartedly recommend investing in it and taking advantage of all that it has to offer. The position offers you with a variety of great features and incredible qualities. It has the EPS foam, Shock-Absorbing Foam Element, throughout the seat. It protects the kid’s head and torso from impact forces by crumbling upon the impact. By doing so, it reduces stress on the child’s neck and shoulders in case of a crash. It gives your child top-notch comfort, thus giving him a sweet smile every day. The seat is easy to maintain, clean, adjust the straps and assemble. It is also sturdy, lightweight and comfortable. You enjoy your free time with the help of this gift from the heavens. The seat-recline isn’t high enough. The chest clip is also flimsy since your kid can access it quickly. Despite these issues though, the seat redeems itself with fantastic qualities like its lightness and stability. At the time of writing, there were 344 customer reviews and a rating of 4.4 out of 5 stars. Most of them were impressed with the seat’s quality and comfort features. The Peg Perego Primo Viaggio seat is a luxurious and high-quality item that offers excellent value for money. We wholeheartedly recommend investing in this product and ensuring you infant’s safety and security. The toddler carrier has the incredible headrest that has a fantastic design to protect and offer the comfortable automotive PUR foam. It also has the expandable polystyrene foam that absorbs external forces. In addition to these features, the position has the unique Dual-Air-Flow Comfort System that combines with the Cool Mesh system to provide your kid with superior breathability capability, and the crisp shell vents allow air in and out of the seat to keep him fresh. It has the Dual-Air Flow Comfort System for ease of breathing and keeps the infant cool. It’s also secure, reclines with ease and is straightforward. The duo stroller’s front tire wheel wobbles, and it is also cumbersome. It is arduous to install, the latch is overly broad, and it has no integrated cup holders. Despite these issues though, the seat is comfortable, breathable and durable with the assistance of the steel frame. At the time of writing, there were 148 customer reviews and a 4.6 out of 5 stars rating. The top-rated convertible car seat lets you and your family have fun as you travel. It also offers your new travel companions with safety that you demand and gives them the superior comfort they deserve. Q: What Are The Basic Guidelines For Proper Safety Seat Use? A: Install the security seat so that it does not move more than an inch to the front or sides of your car. You need to also thread the straps below your kid’s shoulders on a rear-facing seat and through the top-strap in forward-facing convertible seats. Belts SHOULD be above your infant’s shoulders in the positions that only face forward, such as the combo-seats. Another critical factor is that your harness should not only be snug but also tight enough. You need to ensure that the top of the harness clip should be at the armpit base. Also, place any coats on top of the seat’s harness. Another factor is that you need to restrain your kids in the rear seat, more so if your vehicle possesses a passenger airbag. You must never put a rear-facing safety seat in front of a passenger airbag. Finally, use a top tether with forward-facing safety seats, attached to a designated tether anchor. It can reduce the forward motion of your baby ’s head in a crash by several crucial inches. Q. Is It Secure For A Baby To Travel In The Front Seat? A: No. It is more secure for your little angel to travel while in the rear seat. The most sheltered spot for your baby should is in the backseat. Thus, if you have the option, place your infant in the back position. It is safe to put him or her in the middle spot of your back seat, away from the vehicle’s airbags. If the middle of the back position has a three-point seat belt, then that is the safest place to place a child restraint. It is always the furthest place away from the sides of your car. However, if it only consists of a lap-only belt, check out the infant’s seat instructions to see you can fit it with a lap-only belt. If not, then you need to secure the seat on either side of the rear seat using the lap and a diagonal belt. Q: What Is A LATCH? A: The LATCH refers to Lower Anchors and Tethers for Children. It is an ‘Infant Car Seat Installation System,’ where you attach the lower hooks between the bottom of the back of the seat and the seat itself. The tether piece is a strap made of seat belt material with a clip that secures forward facing baby car seats and eliminates chances of excessive movement of the infant’s head in crashes. Convertible car seats are the best choices for you and your growing family. They can convert from rear-facing to forward-facing and sometimes, booster seats. They serve you from when you get out of the hospital with your child till when your child joins pre-school. The Federal Bureau of Standards and most governmental institutions recommend that you should have a baby car seat with you when taking him/her home from the hospital. Some hospitals don’t let you go without making sure you have bought your child a car seat, and it is installed correctly. So, to come up with the top convertible car seats of 2019, we considered the safety and installation features carefully. We also examined the comfort features, convenience features, and other additional unique features. 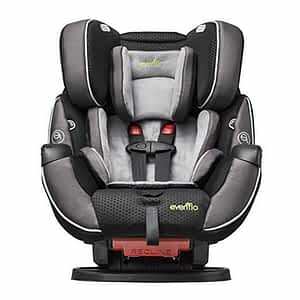 The Graco 4Ever All-in-One Convertible Car Seat is our top best convertible seat. It has the InRight latch system for easy and simple attachment. We’ve also done a complete review on it. Our second favorite seat is the Diono Radian R100 All-in-One Convertible Car Seat. It has the unique tether capability that minimizes seat rotation during an accident.